Those nerve wracking conversations that lead up to a first date are always a volatile mix of exciting and scary. And just when you think you've secured someone by getting them to agree to a first date, you have to conquer that extra hurdle of having to decide where you should go with them. Do you go for dinner, cocktails, a long walk on the beach? It's always a bit awkward. 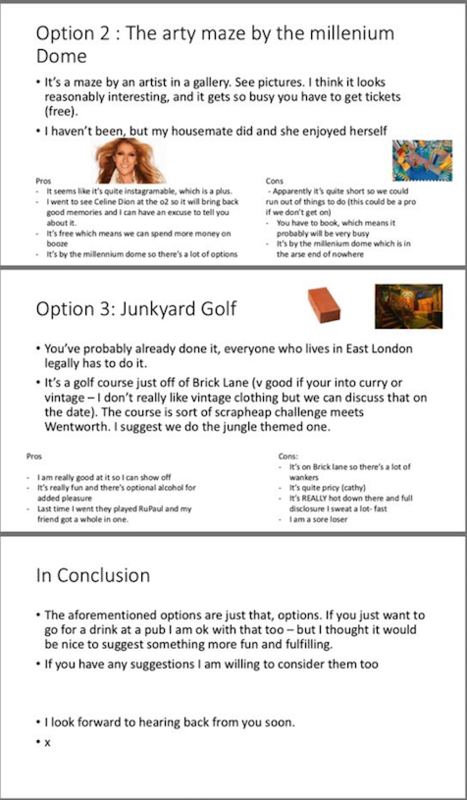 The indepth and well-researched PowerPoint included some very good suggestions, which you'd think BV's date would be keen to try out. His date blocked him on Whatsapp, without even offering any feedback on the presentation. 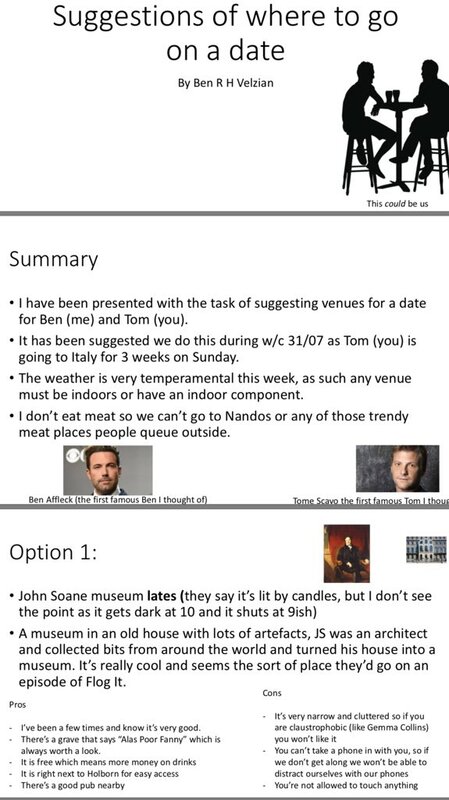 I'd kill to get a PowerPoint of date suggestions! Did it have animations too?! This is incredible. I hope he proposed immediately. BV you can slide into our Google Drive whenever.